All quotes used in this photo essay are from Volume 13 of the Collected Works of the Mother. 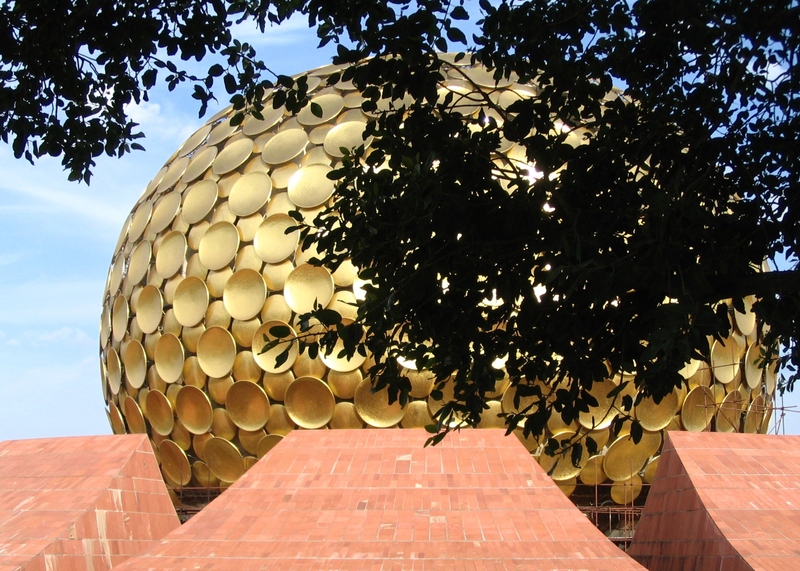 To read more about Auroville, click here. 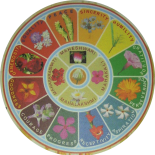 To read more about Matrimandir, click here. Lovely pictures . 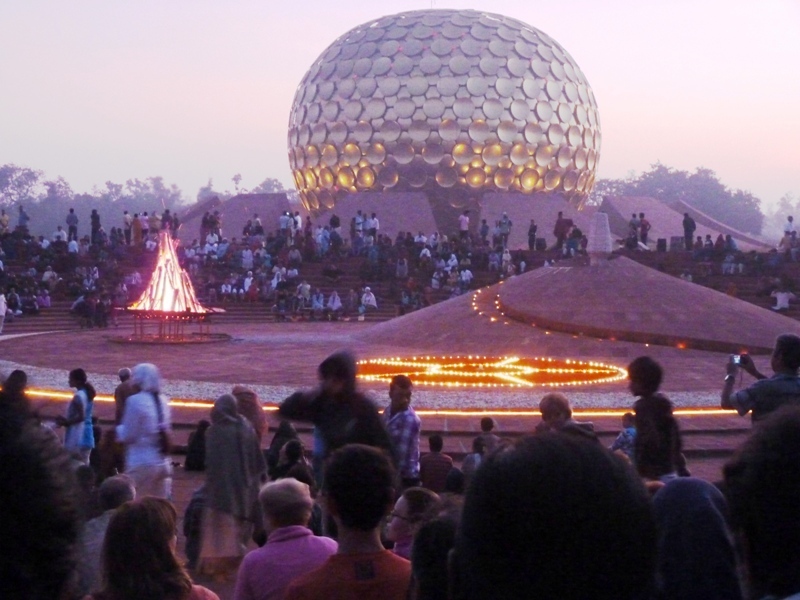 Last year when I went to Auroville with my children my little g.daughter 5 yrs. in age not exposed to religion or spirituality, came to me while I sat in silence on a rock and said,”Daadi I want to sit like you quietly with my eyes closed”. And she sat like that as long as I did —surely the wonder of the vibrations of Mother’s blessings. Thanks for sharing. Thanks for sharing your grand-daughter’s experience. 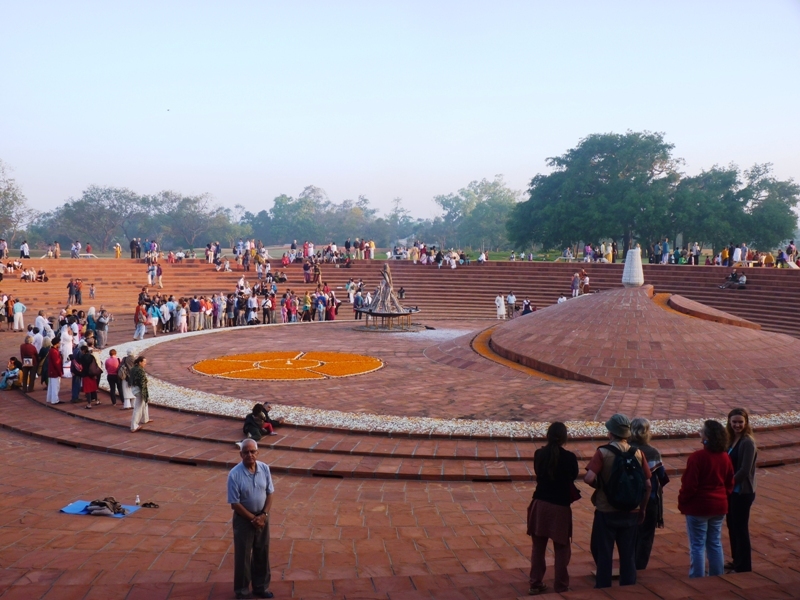 It is indeed a very special place with great vibrations of peace and serenity. Thanks for your comment. Please visit again, and this time visit us too. This is the first time I have seen this shrine in such a light, pun intended 🙂 It is such a soothing sight that I am more and more impelled to come and bask in its serenity. 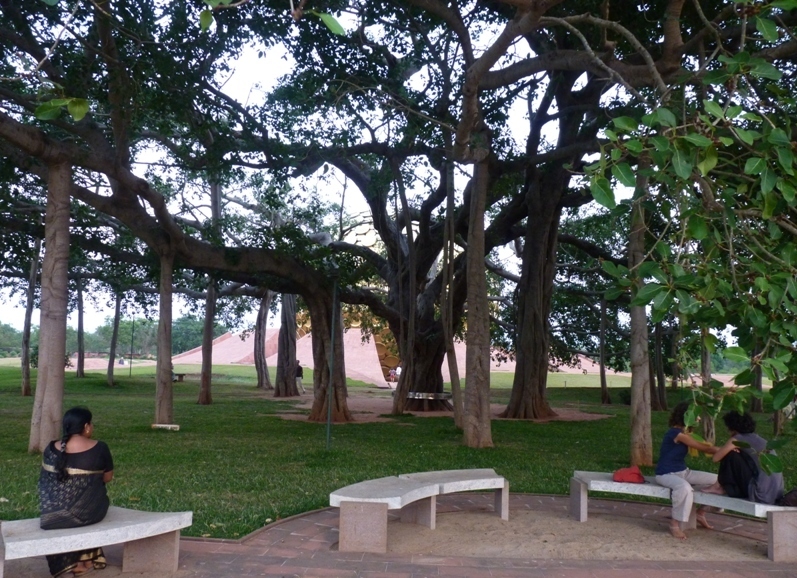 The banyan tree is the jewel in the crown. Beloo and I will be very happy when you visit us, we’ll go with you to MM and bask in the glory of the Banyan tree. Thanks! Beautiful.. so serene.. one day, I plan to visit. 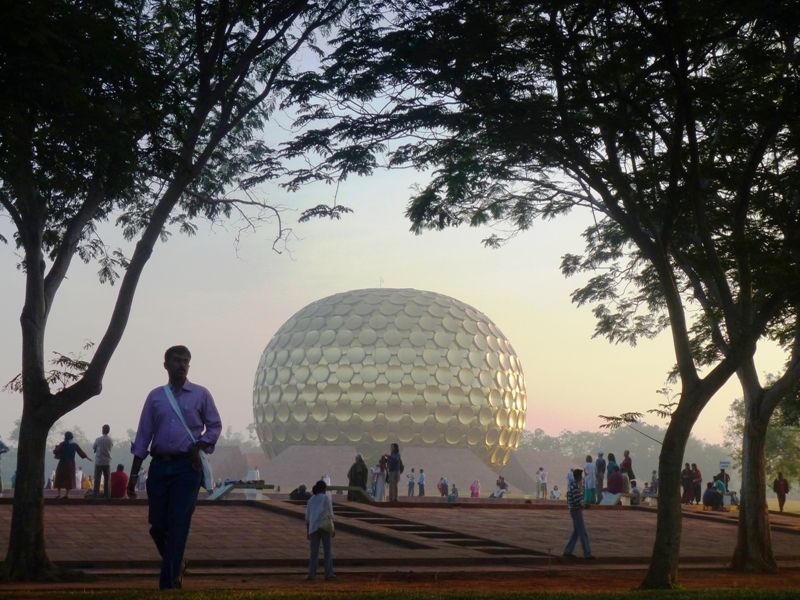 Yes, the whole area around Matrimandir is very serene. Thanks for liking this post.